It can strike any time of the year, but every holiday season veterinarians across the country begin to brace for it. What is this ominous pet problem that strikes when we’re at our most festive? If you guessed pancreatitis, you would be correct. Pets and pancreatitis go together during the holidays like hot cocoa and marshmallows. Keep reading to learn what savvy pet owners need to know about this disease. Pancreatitis is the inflammation of the pancreas, a very delicate organ that resides in the abdominal cavity. 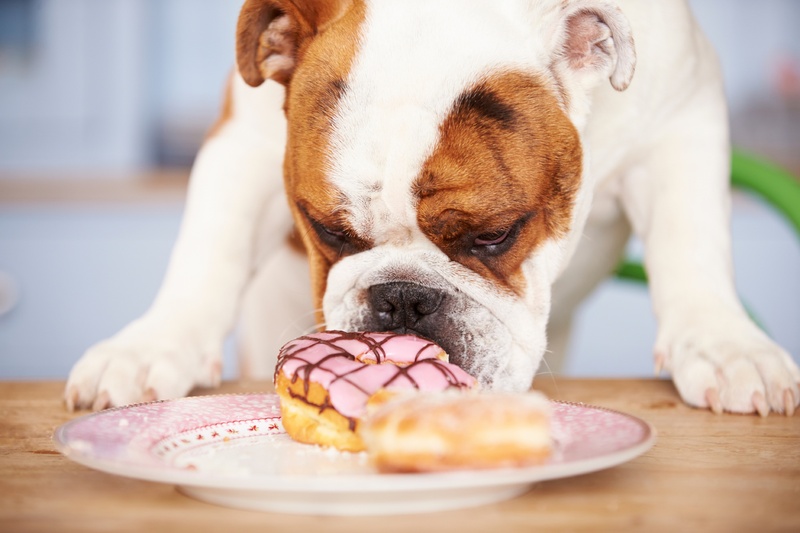 It can become inflamed for many reasons, but the most common reason is when pets overindulge in higher fat foods. And what time of year do our pets have more access to heavy fatty foods than during the holiday season? Pancreatitis can present in a very mild manner, making it hard to differentiate from other diseases or it can be very severe. In select cases, it can even be life threatening. If you think that your pet may have pancreatitis, it is important to seek veterinary care immediately even on a holiday. Pancreatitis is often diagnosed based on symptoms and laboratory testing. Sometimes more advanced imaging such as ultrasound is needed. Many pets suffering from pancreatitis can be treated on an outpatient basis, relying on a special diet and medications at home. Some pets, however, need to be hospitalized in order to prevent dehydration and receive intravenous medications. Some unlucky pets may even need a feeding tube or insulin therapy if the inflammation affects the ability of the pancreas to make insulin. Because most pets end up overindulging during the holiday season, either intentionally or accidentally, they are seen and treated at after-hours emergency care centers. This is where having your pet’s records with VitusVet can be a huge help. Even if your regular veterinarian isn’t open at midnight on Christmas Eve, you can ensure that your emergency vet can access your pet’s history and medications, and provide the best care for your beloved critter. Our app also shows you all of the pet emergency hospitals around your current location--especially important if you’re traveling. No one wants their pet to end up in the emergency room over the holidays, and with a little care you might just avoid that trip. If not, though, rest assure that your pet’s medical information is right at your fingertips when you need it most.